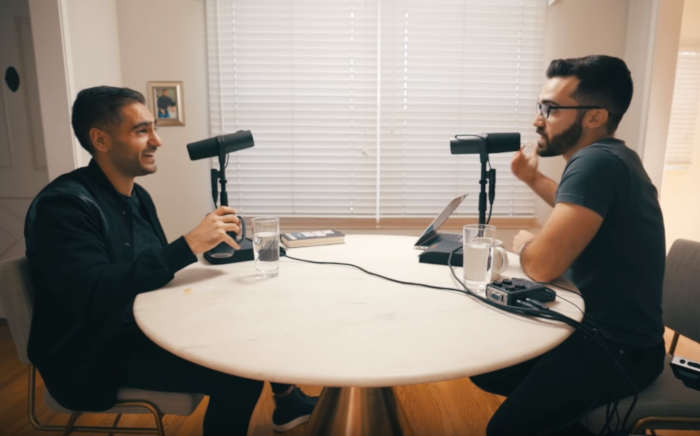 In Episode 94 of Matt D'Avella's Ground Up Show, Matt has a conversation with Alex Banayan, author of The Third Door, a book of interviews with successful people on how they launched their careers. Banayan is somewhat of a prodigy. He began his quest to meet high-profile business leaders at only eighteen-years old and scored sit-downs with people like Bill Gates, Lady Gaga, Steven Spielberg, and dozens more. The name The Third Door is a reference to what Banayan says he learned is the true path to success, the key to breaking through all barriers to achieving big things in life. He explains the concept this way: "It doesn't matter if it was Maya Angelou for poetry, or Jane Goodall for science, or Quincy Jones. Every single person I interviewed treated life and business and success the exact same way. The analogy that came to me - because I was twenty-one at the time - was that it was sort of like getting into a nightclub." In a nightclub, Banayan says, "There are always three ways in. There's the first door, the main entrance, where the line curves around the block, where ninety-nine percent of the people wait in line hoping to get in... The second door is the VIP entrance, where the billionaires and celebrities go through... School and society have this way of making us feel like those are the only two ways in; you either wait your turn, or you're born into it. But what I've learned is that there's always, always a third door. It's the entrance where you jump out of line, run down the alley, bang on the door a hundred times, crack open a window, go through the kitchen - there's always a way in... It's a mindset. It's a way of viewing your problems. When you have a third-door mindset, really what it gives you is a sense of possibility that there's always a way." The conversation delves into the subject of how we define success. Banayan recalls meeting with Steve Wozniak, co-founder of Apple Computers. "Fifteen minutes before the interview, I get a phone call from one of my best friends... He's like, Woz is great, but he peaked twenty years ago... Try to find out why he wasn't as successful as Steve Jobs.'" During the interview, his friend's question on his mind, Banayan digs into Wozniak's personal belief about success. Wozniak, he learned, rejected Western society's prescription for success. "He told himself when he was young 'What would I truly want to do that would make me happy?' He decided it was two things. One, to make things with his bare hands that uses engineering that changes the world. And two, to have fun while doing it." And Wozniak did seem happy. "Within ten minutes, it's undeniable that Steve Wozniak is the happiest person I've ever met. it doesn't matter if he's talking about his dog, or his cars, or his wife. Everything he talks about, he has this exuberant joy." Still, Banayan's friend's question persisted. Did Wozniak compare himself to Jobs in terms of success? Woz explained that his relationship with Steve Jobs was fortuitous and powerful, but Jobs had a material-success focus. Banayan gave the example of when employees at the nascent Apple Computer wanted shares in the company just before the company's IPO. Jobs flatly refused. "Wozniak did the only thing he could think of. He gave some of his personal shares to these early employees. To him, they were like family. And on the day of the IPO, they all became millionaires." When asked what leadership he role he wanted in the ever-growing business (and he was assured he could pick any), Wozniak asked that his role be capped at Engineer. "Who's to say Steve Jobs was more successful?" So should Wozniak be seen as successful in comparison to Jobs? Banayan said his takeaway from the interview was that Wozniak's pattern of decision making, which favored personal satisfaction and happiness over the material-wealth-at-all-costs dream we're spoon fed to desire, gave him a different form of success than his more-famous business partner. "I'm sitting back at this Chinese restaurant with Wozniak. He's sitting back on his chair. He's laughing. He's smiling... And again, the question my friend asks me pops into my head. And the only thing I can think is, who's to say Steve Jobs was more successful?" During the podcast, Banayan said when he started out on his mission to interview the world's most successful business people, that Warren Buffet was his dream interview. He attacked the goal of meeting Buffet the way he believed he should; with relentless persistence, writing, emailing and calling Buffet's secretary repeatedly. "Every week, I would send him a new letter. And every Wednesday, I would call his assistant. After three months of being rejected, it really hurts. By month six, you're coughing up blood. I'm twenty years old at the time too, so my sense of identity is completely attached to this project and this mission. By month eight, I'm completely dejected." In the meantime, he managed to secure an interview with Buffet ally Bill Gates. "The interview with Bill Gates went so well that at the end, Gates' office said 'Let us know how we can help.' I'm like, Well, you know, I could use some help with Warren Buffet." They told him it was an easy ask, that Gates and Buffet were best friends. But, "I get an email a couple of weeks later saying 'Please, no more messages to Warren's office.'" "You can pound on a door so many times, that instead of knocking it down, they call the police on you." Banayan says he learned a lesson that is not taught enough. "Every business book talks about the value of persistence. But no business book warns you about the dangers of over-persistence, where you can pound on a door so many times, that instead of knocking it down, they call the police on you. I had dug myself in such a deep hole, even Bill Gates couldn't pull me out." The conversation moves on to the subject of hustle culture, the pervasive idea that the winners in life are the ones who have outworked everyone else. Banayan shares a perspective on the root of this belief and challenges it. "Many times when people try to out-grind or out-hustle, it comes from (our) original fear. Thich Nat Hanh, the really famous Zen monk, talks about original fear... The second you come out of the womb is the first time you ever experience fear, the fear of death... You were in this womb where everything was taken care of for you. You had this umbilical cord, you have the embryonic sack. You were, in many ways, in heaven... All of a sudden you're in a room with bright light. You have to start breathing. There's liquid in your throat, choking you. You come into this world choking and about to die... That's original fear; trying not to die." "Fearlessness is jumping off a cliff and not thinking about it... Courage... is acknowledging your fears... and then deciding you care so much about it, you're still going to take one thoughtful step forward anyway." That original fear, Banayan says, manifests itself throughout life; as fear of death in the form of failure, or fear of death in the form of living a life that didn't matter. 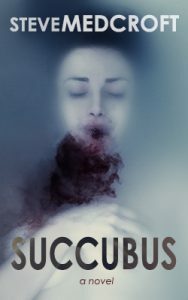 "When I started working on the book, when I was eighteen, I was completely consumed by fear. So naturally, one of my biggest questions was how did all these other people, who achieved these monumental things, relate to their fear? I just assumed that Bill Gates or Elon Musk had to be fearless, or else how else would they do what they did?" Banayan says he was surprised about the role of fear in his interview subject's lives. "Not only were these people scared, they were completely terrified... It wasn't fearlessness they achieved. It was courage. And while it sounds similar, the difference is critical... Fearlessness is jumping off a cliff and not thinking about it. That's idiotic. Courage, on the other hand, is acknowledging your fears, analyzing the consequences, and then deciding you care so much about it, you're still going to take one thoughtful step forward anyway."